I am writing with regards to the way History is thought in Irish Schools. I studied History throughout my years in the education system right up to the Leaving Certificate. Now in History one of the first things you learn is that there is a degree of bias in every source and every article. This bias can differ to a degree, where in some cases it would be hard to identify the bias or on the other hand it could completely distort the actual events. For this very reason Historians consult numerous sources before drawing a conclusion. This brings me to my point, History in Irish schools is thought from primarily a Right Wing perspective. I know your natural response will be to deny this and defend the system, but the facts speak for themselves. In not one Irish Leaving Cert Curriculum book is the Limerick Soviets mentioned, either is the part played by the Left Wing radicals in the anti-Treaty split or even the suppression of Left Wing politics by the state and Church from the 20s onward. Naturally I do not expect or would even ask for the State to change the whole curriculum but I would raise this question, could the curriculum not include certain left wing texts? I am not even asking for controversial material to enter the curriculum, say “Labour in Irish History” would suffice. I say this is not controversial because it was written by what even a Fine Fail minister would agree as one of the great Irish Patriots, James Connolly. This book deals with Irish History from a Left Wing perspective and I feel would help balance the distorted way in which it is now thought and bring in a new source and a new perspective. For is that not the correct practice for Historians, balancing sources? You may argue that the books used today help summarise Irish History, but I have no doubt that Irish Students would benefit more from reading the actual Primary Source of “Labour in Irish History”. This source cannot be distorted, cannot be manipulated, it comes directly from the hand of James Connolly. Is this not the least we can do for a man who gave his all for Ireland. That at least the Irish State recognises his writings in its Education System? Mr O’Keefe I am aware you most likely will not respond to this e-mail or merely pass it to a delegate of your own to deal with, but I would ask you this please consider this request. I feel it is both reasonable and practical. The memory of James Connolly should not be white washed in the States Education system, his Socialism merely mentioned in the footnotes of our Leaving Cert Curriculum books. It should be studied as it is an integral part of Irish History. His sacrifice and that of the Irish Citizens Army was just as great as any Irish Volunteer or any Irish Patriot. The way History is thought needs rectifying and I sincerely hope you will take this point on board and actually be pro-active in changing it. You are in a position of power to implement these changes, so please do use your power to do what is morally right and most of all historically accurate. Thank you for your time and I sincerely hope you will take action. 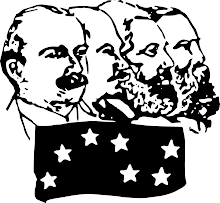 The Republican Socialist Youth Movement has recently established a Cumann in Sligo. 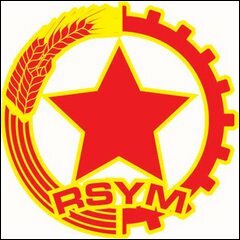 The RSYM is a working class revolutionary and energetic youth movement which takes inspiration from the ideology of James Connolly and Seamus Costello. Sligo RSYM has in its brief existence already made a mark on the local political spectrum with a sustained campaign on the “NO” side of the Lisbon Treaty. Recently members have actively been attending the “Save our Cancer Services” campaign meetings as well as numerous other activities. The Republican Socialist Movement was founded in 1974 and has been working tirelessly for the working people of Ireland ever since. The movement perhaps came to most prominence when three of its members died on hunger strike in the H-blocks in 1981. Currently there are active cumainn throughout the country such as those in Dublin, Antrim, Cork, Waterford, Derry and Tyrone. The aims of the movement in Sligo include the education of new members, mobilising the community through positive initiatives and aligning itself to any struggle which affects the lives of the working people. We hope to politicise the youth of Sligo and to give them a voice on matters which directly affect them and their families. We are dedicated to the struggle for fairness and equality and membership of the movement is open to any youth no matter what religion, colour or creed. If you wish to learn more about Sligo RSYM e-mail sligorsym@gmail.com for more information.